Here is how you can save yourself some angst. First, have a full discussion about expectations around the project. We chose an exterior installation to preserve the original 1927 interior moldings and to mitigate lead exposure for the kids. While we discussed, at length, our wants to preserve the interior moldings we did not realize the fact that our definition of “preserve” and the window company’s definition was not the same thing. This was probably one of the worst examples of cracking we had. 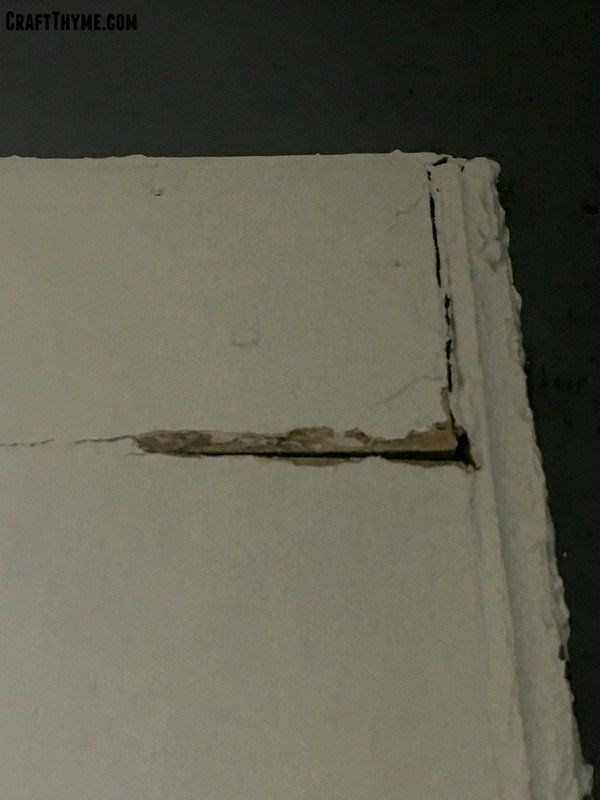 Minimal cracks in the plaster/drywall: Luckily we did not have this issue! But it was discussed as a possibility in older homes after we inquired about all the damage we were witnessing. Complete cracking of exterior trim: In the case of our windows they had to remove large sections of the trim to simply get them out. This was not a big deal for us as we knew they would be capping everything anyway. They went above and beyond to provide extra insulation, so if the capping ends up looking good I find this particular item to be perfectly acceptable. As the homeowner I was excited to have insulation added to the interior of the trim where it was just open air before. Tile loss: We had a poorly tiled shower that we had eventually planned on tiling. That will now be moved up to the next project on the list. We lost a number of smaller tiles around the frame and a couple of larger ones in the shower. The company did offer to glue them back in place, but we are opting to use an alternate shower and have new tile correctly installed. We had concerns over the water tightness anyway and placing the tiles back in position would only exacerbate that problem. Installing replacement windows can be damaging but as you can see this blue tile wasn’t any great loss. General Cleaning: As much as they cleaned it was not nearly enough. For example after the dining room installation on of the kids noticed a grit all over the dining room table. 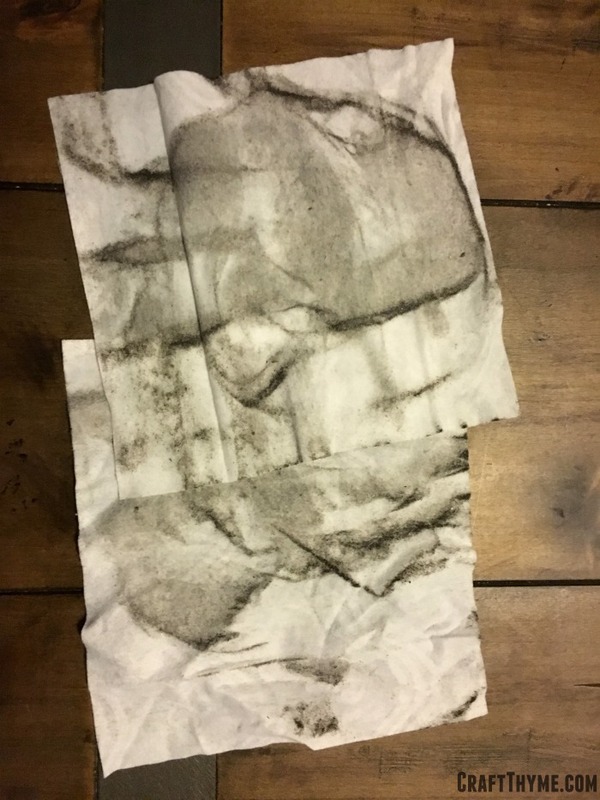 When I took a cleaning cloth to it, it came out black. With the 90 year old dirt the dust was just pervasive. I have spent an incredible amount of time re-cleaning all the construction dirt. Not to mention the dirt of having an entire crew of people in and out of your house. Let us not even discuss the bathroom usage… Ugh. Still to be fair, the crew kept HEPA filtered vacuums and used them during the entire process. Construction just tends to create dust. Estimated time for installation. Our estimate was woefully inadequate and I personally am over having crews of people in and out of the house. But, I actually have felt a little bad at how long it has taken them. Our windows were hard to get out, a pain to replace, and the capping is “The hardest trim to cover” the crew has ever seen. We are multiple weeks into this project. Most replacement window installations last a couple of days max, but, most projects, even commercial, have less than 52 windows. Bathroom usage by the installation crew: We did not mind them using our bathroom, BUT we should have discussed the old plumbing problems. We had to have our drains snaked after everyone’s usage and found paper towels etc in the lines. These items would have been perfectly fine for new plumbing but not our old damaged, root filled lines. I call that one our fault for not informing them of house issues. Smoking: That was a hard no for us. We had someone smoking outside day 1, but of course that immediately comes in the giant open holes in the house. They immediately addressed that issue when we brought it to their attention. I can’t blame the company on that one since we never discussed it and the took care of that quickly. Incidentals: Food, water, paper towels? We opted to leave out plastic cups, a bowl of candy, and paper towels instead of fancy hand towels in the bathrooms. We heard that the crew felt bad using nice towels to dry their hands. None of these are required but it is good to lay out which items are for their use so no one feels like you are overstepping bounds. Access to the property: Do you feel comfortable giving them a key? One day we forgot to leave ours and they just removed a window and let themselves in. No harm done but did make us smile at the ingenuity. Installation time frames: We went and talked to all the neighbors before the window crew arrived. They knew to expect hammering and noise. That it would be starting after 8 am and done before 7pm. We also made sure that it was okay for them to work on the weekend with a later starting time on Sundays. The crew was very happy with our prep work. They have had to deal with neighborhood complaints at other projects when neighbors were not aware of how short the installation process would be. In hindsight these incidental damages and cleaning all seem acceptable. BUT on Day 1 I can say we were very unhappy campers when we came home to see all the mess and work it had caused. 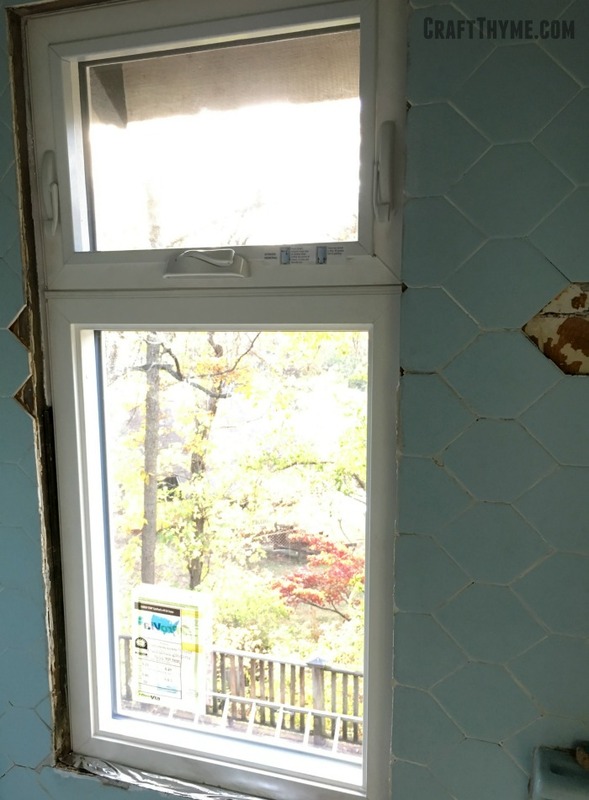 Managing both the replacement window company’s and our expectations would have started off the project on a much better footing as it was clear they got annoyed with us and assumed we were being overly picky. Having worked on a variety of home projects personally and previously with an architect and contractors professionally it was very odd to be the “problem homeowner”. If I had it to do over again I would have a much more detailed list of who was responsible for what. And a clear definition of what was an acceptable level of “complete”. We were able to reach a consensus and move forward with the project, but I feel certain it gave everyone a sour taste from the get go. Luckily it was a longer project and we seemed to all get a working ease together. Additionally, we chose to just let some things go that were probably within our rights to have corrected like the caulk job and tile. In response I felt like the installation was done very well, looks very good on the interior, and the installation team also chose to vote a “problem” member from the team which caused significantly less damage through the rest of the project. To achieve a smoother installation set yourself and the crew up for similar expectations. If everyone is on the same page it is going to be easier to have hard conversations, ultimately decide who is responsible for what, and get a quick professional job. Just as you want the best looking installation of replacement windows, the crew wants a smooth easy-going homeowner. No one wants to feel nitpicked to death and no one wants to feel that they are being taken advantage of. 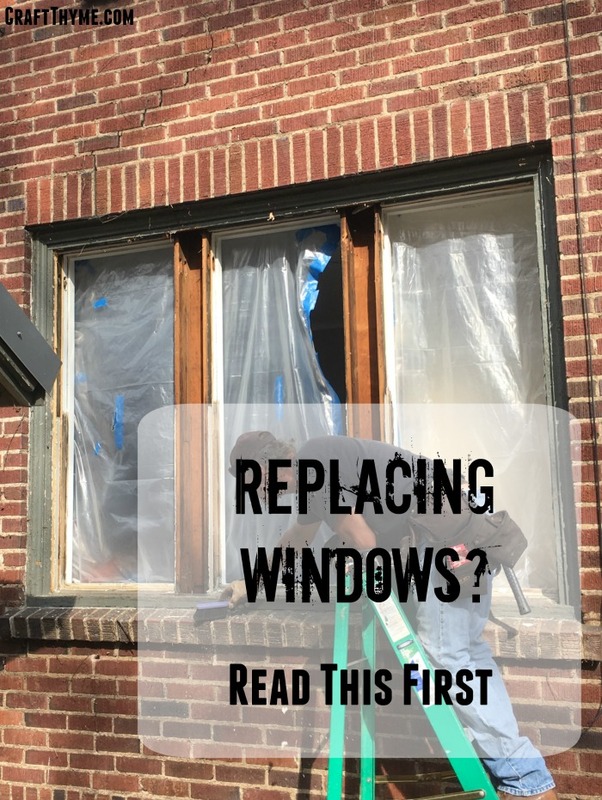 Handling the two way street of renovations and replacement windows makes for a better project all around. Thanks for explaining how replacement windows can be installed. It’s good to know that you should have a lengthy discussion about what you expect from a project. This seems very helpful in ensuring all goals and objectives are covered and how they can be achieved.